As the outs increased, Holy Ghost Prep senior Tim Brennan simply strolled to his dugout like he has on countless other occasions. Three up, three down. Three more up, three more down. Eventually, that “three up, three down” mantra started to get interesting. After three ups and downs in the fifth and sixth innings, mostly everyone at Holy Ghost Preparatory School’s Ted Grabowski baseball field on April 14 recognized that history was just one more “three up and three down” away. As he entered the seventh inning with the Firebirds ahead of Lower Moreland by a more-than-comfortable 8-0, Brennan willed himself to remain focused. Up until that point, the HGP defense had not been taxed at all, and the only mini-threat of issuing a walk was when Brennan fell behind the first batter with a 3-1 count. 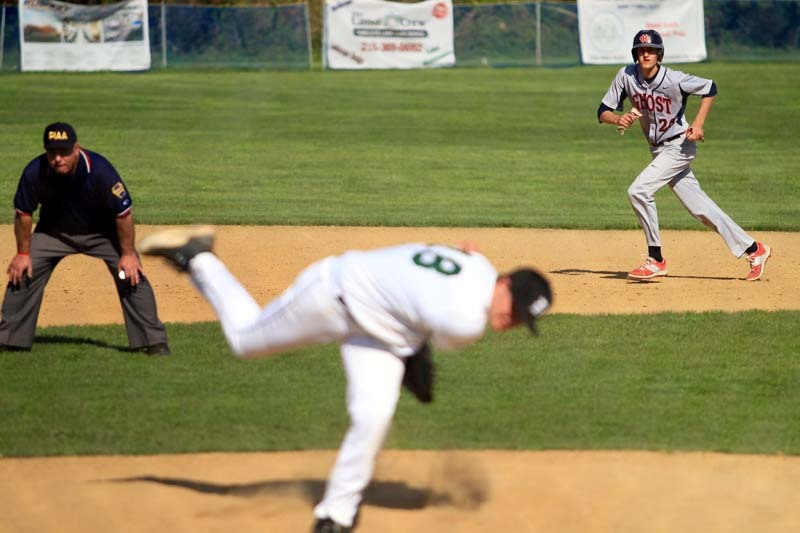 After a quick first out, those rooting for perfection received a major scare when the next batter chopped a ball toward second base and watched it take a tricky hop on senior Ben Decembrino. Unfazed, Decembrino stayed with the play and flipped a throw to senior first baseman Nick Payesko for out number two. Finally, with two strikes, Brennan fired a fastball into the mitt of senior catcher Chris Pawluczyk, and a desperate swing by the Lower Moreland batter met nothing except air. The game was over. With his 12th strikeout of the contest, Tim Brennan had hurled a perfect game. As the Firebirds rushed to the mound to celebrate only the second perfecto in HGP’s rich baseball history – the other was by Carmen Brancato in 1985 – Brennan didn’t immediately internalize the immensity of what he had just accomplished. Brennan, who was also the starting point guard for HGP’s basketball team the past two years, lauded Decembrino for saving his perfect game. Incredibly, Decembrino had not been aware that Brennan had not allowed a single hitter to reach base. “It was weird,” Decembrino said. “When the ball hit the lip (of the infield), I just tried to knock it down and be in position to make a throw. After the play, there was a lot of cheering for a play that isn’t usually a big deal when you have a lead like that. I looked over and saw the guys standing by the fence like something big was about to happen, and then it dawned on me that no one had even reached first base at that point. Brennan only needed 77 pitches to record 21 outs, and of those, 56 were strikes. Despite the fanfare, Brennan said his most memorable pitching performance was two years ago in the District 1 championship against then-powerful Upper Moreland, when he fired a two-hit shutout. A varsity player since his freshman season, Brennan’s high school resume is staggering. Along with a 15-3 record and 12 saves, his career earned-run average is less than one run per game. A second baseman when he isn’t on the hill, Brennan is a three-time all-Bicentennial Athletic League selection; last year, he was named the BAL’s Most Valuable Player. This spring, his batting average is a jaw-dropping .615. 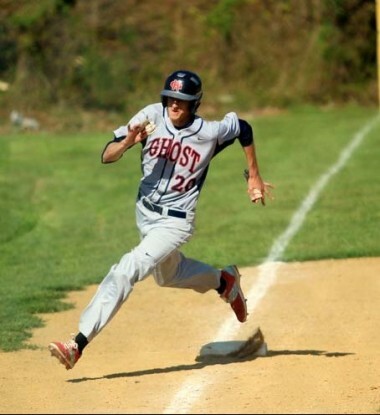 Brennan’s efforts have garnered him a baseball scholarship at St. Joseph’s University, where he will major in sports marketing and minor in finance.